My Envy Box is dropping one Bomb after another, every month! 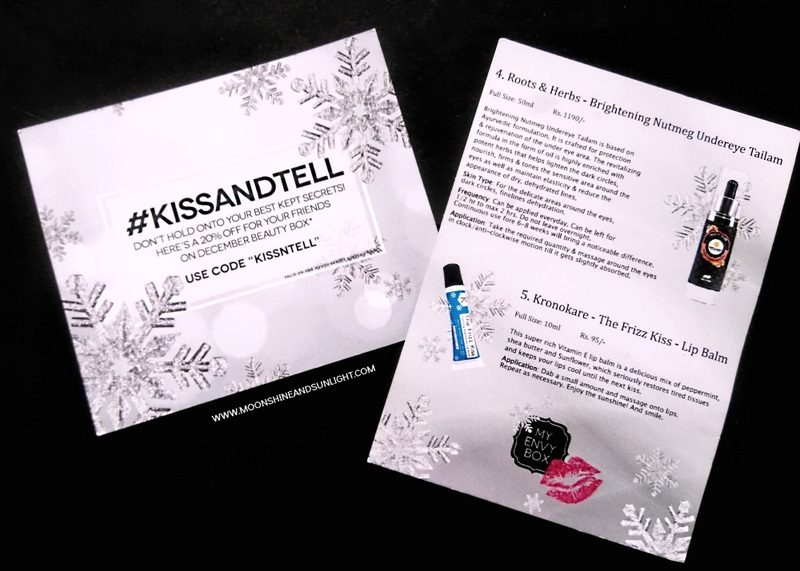 After being ecstatic with last month’s #Handmade Edition, The #Lashes&Pout December Beauty Box is something I was totally expecting! Another thing I observed is they are taking the themes every month seriously and sticking to the same diligently. This month’s theme as the name suggests is focused on eyes and lips. There are 5 full sized products in this box as well! 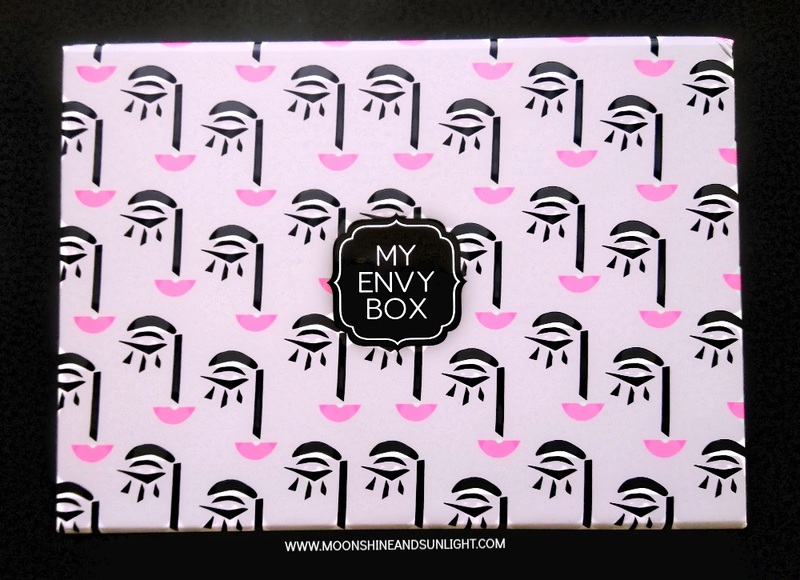 The design of the box is very cute with the abstract face with lashes and a pink pout pattern all over it. Spot on with the theme! I really like that the curler is a little big in size because small curlers are a pain to use. They also have another grip, so the current one can be replaced in future. Another eye related product. This is not an overnight use product or all day product. It’s sort of like a mask which can be used every day for your under eye area, can be left applied for 0.5 to 2 hours. A new brand, a new type of product, let’s see how it works out. The first lip related product is a lip balm. I tried this and a quite like it. A new brand, let’s see how this goes in the long run. Lip balm again. I like both of them, but if they had had a lip scrub or lip masks, which are all the rage, instead of two lip balms, I would have been more happy. 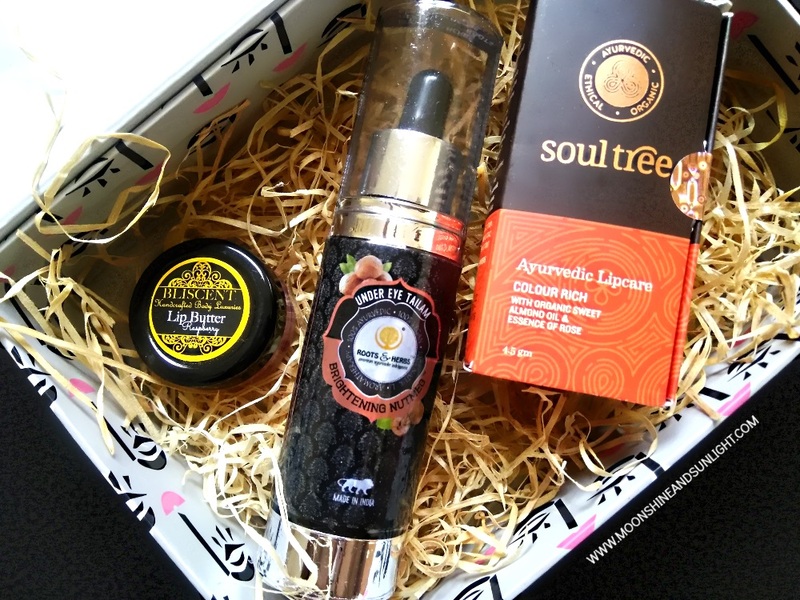 I tried this, and I really like the cooling effect and it is perfect to use on the go! And I can never have enough lip balms! Organic ghee, sweet almond oil and wild honey are some of the key ingredients and I like that the colors are not synthetic. It is also fragrance or preservative free which is even better. Now the color payoff isn’t very great but since it is moisturizing, it would make a great all day lipstick! I would recommend you to go ahead and gift it to your friends and family or yourself, since it time to gift people good things! 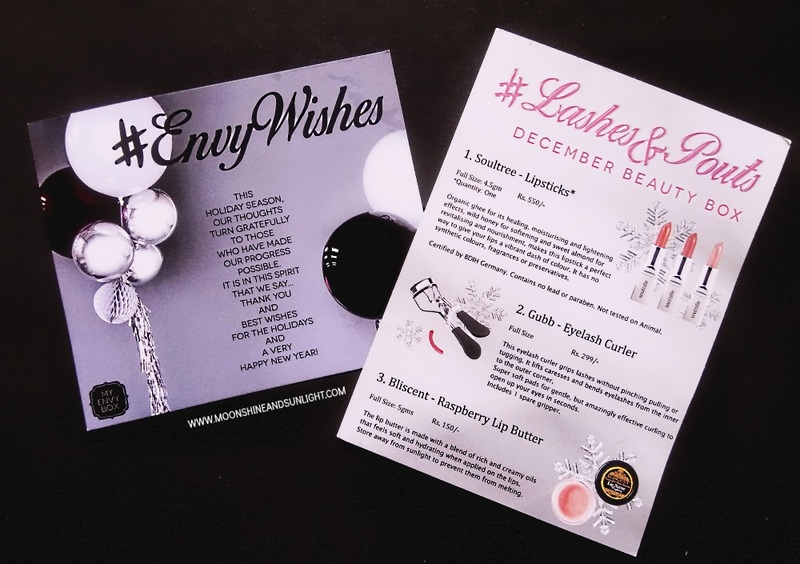 Though I like this month’s box very much, I would like to see a few products from Luxury brands in the coming month in My Envy Box. Great envy box. Liked it.